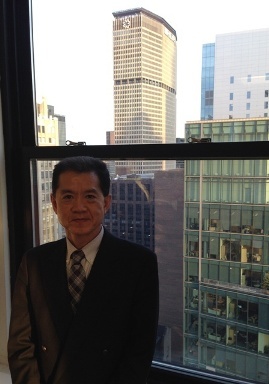 We would like to announce that Kenichi (“Ken”) Shindo was elected as the new president of Sanyo Corporation of America and Sun Phoenix Mexico S.A. de C.V..
His predecessor Masanobu (“Bob”) Shintani returned to Japan to work in his new position as Director and Executive Officer of Sanyo Trading. In Tokyo, Japan, Ken Shindo had been General Manager of the Machinery & Materials Business Group at Sanyo Trading Co., Ltd.. He has been working with the company since 1985.